Sweet peas give a sensational show of exquisitely coloured flowers on floppy, scrambling stems that need support to hold them up. The best have a rich scent that carries right through the garden. Sweet peas arrived in Britain via a Sicilian monk who sent seeds to a Middlesex schoolmaster. This gave rise to countless other forms. The biggest relatively recent development came at the turn of the last century when unusually large, frilly flowers suddenly appeared in several parts of the country. Seed was saved and sold as new varieties. ‘Countess Spencer’, found in the garden of Earl Spencer at Althorp, Northamptonshire, was the best and gave rise to the variably scented Spencer type which now has a huge range of varieties, with new ones being launched each year. Unless growing the dwarf kind, you’ll need a bamboo wigwam around which you can place the young plants. They can also be grown through shrubs or up supports for other climbers. A good show takes up quite a bit of space, and you’ll also need to allow room to get close to keep deadheading, pick cut flowers and inhale the terrific scent. 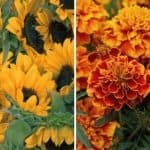 L. odoratus ‘Antique Fantasy Mixed’: giving rich colours and strong scents, the plants have vigorous strong stems and give a good summer show. L. odoratus ‘Matacuna’: one of the oldest and most beautiful sweet peas, it grows well over head high and has beautiful maroon and purple flowers with an exquisite scent. L. odoratus ‘Painted Lady’: also getting well over 2.1m (7ft) high, it has been very popular since the 18th century, and has bi-coloured pink flowers. Dwarf varieties: For the gardener who does not want to bother with plant supports, there are a few dwarf varieties. L. odoratus ‘Bijou’: only grows to about 45cm (18in) high and can be left to ramble along the ground. Other dwarf types, such as L. odoratus ‘Snoopea’, do not even form tendrils. L. odoratus ‘Little Sweetheart’: an 18cm (7in) high sweet pea which is petite in every way, and comes in purple, red, rose, pink, blue, lilac and white. Good for pots and at the front of a border. Rediscoveries and new varieties: old kinds which were thought to have been lost occasionally crop up in people’s gardens, and are seized on by seed growers. But they are clearly outnumbered by the new kinds offering good vigour and a wide mix of colours. L. odoratus ‘Wiltshire Ripple’: it has marbled maroon and white blooms, and was recently rediscovered. The Heavenly Group: a new range of striped flowers. For those who want lots of colour, look out for the Multiflora, Galaxy and Mammoth kinds. Sweet peas are hungry plants and love rich soil with plenty of added humus, and as much sun as they can get. Plants are traditionally sown in pots in the autumn as this produces sturdy specimens that will be ready for planting out early next spring. They are quite hardy and can be safely grown in a cold frame but will require occasional extra protection during periods of extreme cold and hard frosts. Or, in spring, sow seeds directly where you want them to grow. To get a high germination rate, pre-germinate the seed on a sheet of damp kitchen paper. After a few days, the viable seeds will swell with water and a tiny root will appear. They can then be sown in pots of multipurpose compost. The resulting seedlings should have their growing tips pinched out when they have produced two pairs of leaves to encourage side shoots. This is important as the original shoot will often fail to flower. Place the seed on damp kitchen paper, in a tray covered with cling film. The seed will quickly swell and small roots appear. Handling the seed gently and taking care not to touch the delicate root, sow them 1-1.5cm (1/2-3/4in) deep and 3cm (1.5in) apart. Grow the seedlings in a cool, light place and when they have grown two or three pairs of leaves, carefully pinch out the growing tip. Gradually accustom the plants to outside conditions before planting out from April. Water in and tie to the support. Fork in a layer of moisture-retaining organic matter to improve the soil just before planting.